Pack of 6 plain coloured A4 book covers. 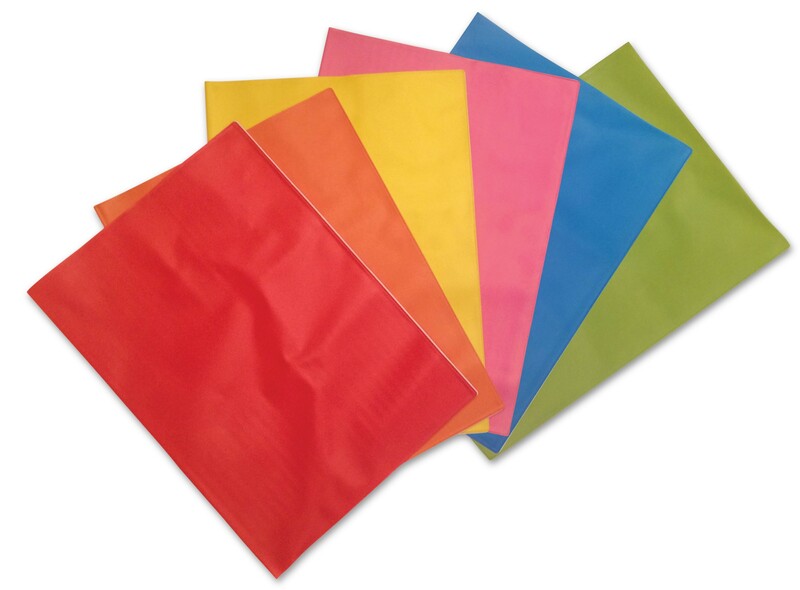 Pack of 6 plain coloured slip on PVC book covers. Just want plain covers - why not all the colours of the rainbow. This pack contains 6 A4 covers. Colours are Red, Orange, Yellow, Pink, Blue & Light Green. If you want to colour code your books this pack is perfect. 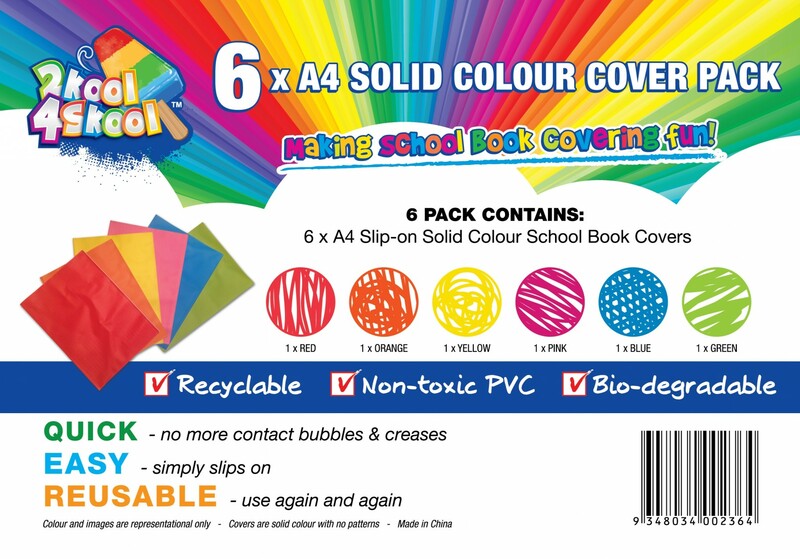 These covers just slip neatly onto your A4 book in seconds taking the pain our of school book covering. These unique covers will cover the Australian standard A4 exercise book from 48 pages to 248 pages. These are no ordinary school book covers. Entire Cover when laid out flat is 445mm wide x 305mm high.